Creative Tidbits #235: Getting Rid of Adobe CC? Drones, Maïté Franchi, Legos and more! July just keeps trudging on! Among this episode's gems is an excellent piece on quitting the Adobe CC subscription, and how to replace the programs. Several other good ones round it out for fun and inspiration. Don't forget, if you have favorites, please let us know! Drones are being used in an increasingly diverse number of ways, from delivering packages to assessing crop yields. So why not use them as part of an app that allows users to pluck garbage from a lake? Pollinate flowers? Retrieve lost or stolen goods? These are just some of the ideas that were developed by graphic design students in Tom Hapgood's user experience class in the J. William Fulbright College of Arts and Sciences and its Department of Art last fall. If you follow Ad Week, you probably already saw this, but I just had to add it here. All of my children, including my granddaughter and grandsone love Legos. Being involved with our local Children's Museum, "Explore More Discovery Museum" has taught me that there are few inventions that can lay claim to the hours of fun that Legos have provided children all over the world. 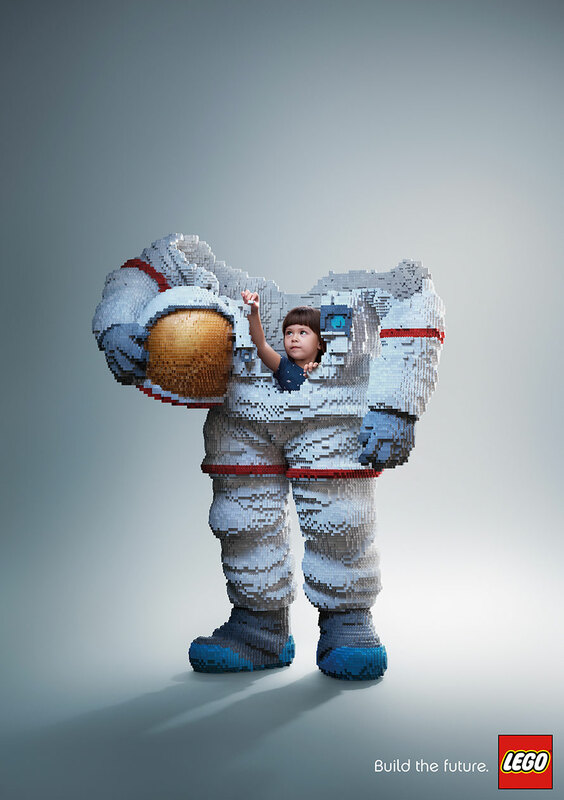 Lego makes some of the most delightful advertising around, and this series of print ads from Ogilvy Bangkok are just about perfect, from concept to execution. Now tell me : how cool is this???? There are so many reasons ... Maïté is an emerging illustrator from Paris with a wonderful textured digital style. Check out all the links in this piece ... and enjoy! Here's one I know will be a big hit with at least some of you. We get email and blog posting questions all the time from people who do not want to go on the intravenious with Adobe. I hear you. Why do you think I ended my Adobe career with CS6 and still use Elements 6 quite a lot. Scott at "Level Up Tutorials" attempts to present excellent alternatives to the major apps in the Adobe Creative Cloud. For forty years I've been saying : Good ideas realized in a mediocre way ... are still better than mundane ideas executed with technical skill! Creative Tidbits #236: Web design, web type, web circles, cigar packaging and more! Creative Tidbits #234: Scan Design, Paper marketing, CSS effects a new font and more!